Toyota Company is known all over the world for its best quality products fulfilling all the needs of automobile lovers. 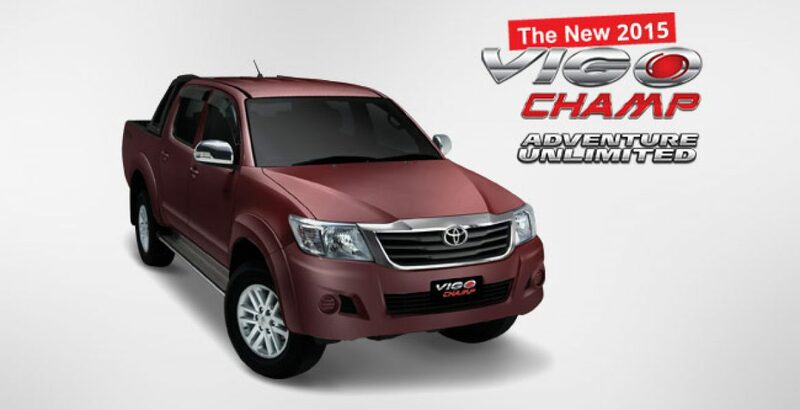 Now Toyota brand proudly presents its new Vigo that goes with champ’s class. 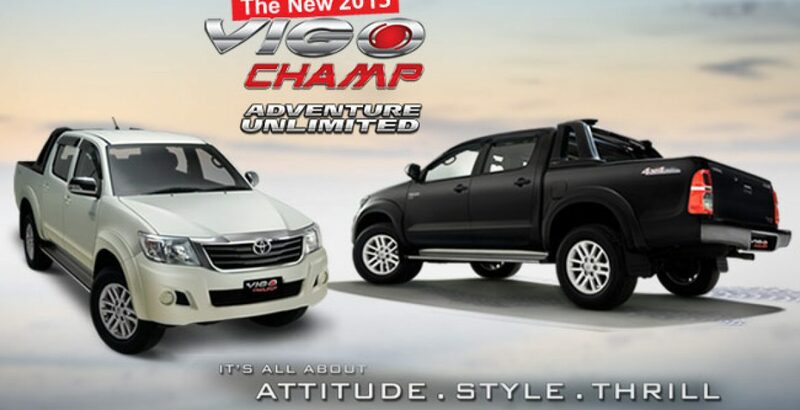 The new Toyota Vigo Champ is a new arrival in the group. It’s all about attitude and style for the adventure lovers. People, who love, go and get it, have adventurous and thrilling journey. It has sand beige interior and touch screen DVD with Bluetooth. All the music and video lovers can enjoy their favorite tracks through the mobiles & tabs by sharing & pairing their devices all the way. It has keyless entry for user’s convenience with steering having audio switches. Also it offers GPS navigation with ease for up to 250 cities. It proffers easy to use touch screen for users to operate & seek guidance. The power windows and fingertip control steering are for the sake of driven convenience. It has powered and retractable side mirrors that are fully automatic with buttons to control over during drives. You will get a 4-wheel drive with fully automatic transmission. It feels like someone sitting in an aircraft. 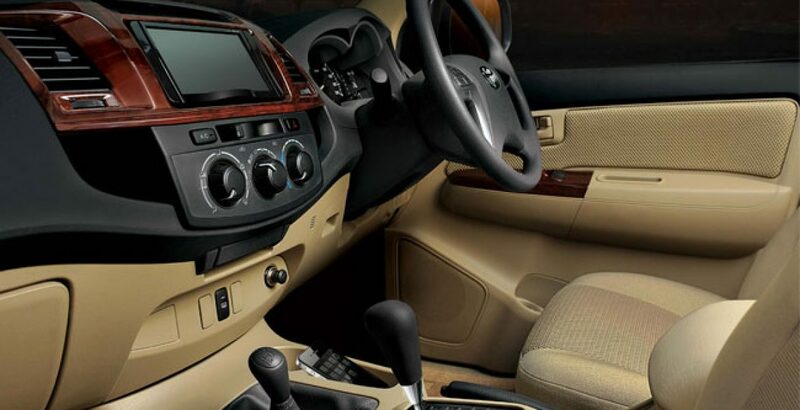 The interior is simply awesome, giving you a royal feeling especially when you are with your family & friends. The exterior of is simply out of the box. It offers head lamps that help in heavy duty searching as well. Lights and heavy tires with 17″ alloy rim, which is a beautiful feature itself, add to its grandeur. There is a rear bumper on its backside and a fancy grill in front, so that the vehicle looks great both from back and front view. It has fuel efficiency with 4-wheel drive system and takes less time and fuel for longer drives. It gives a smooth drive on rough & tough surfaces anywhere you go. All these accomplishments makes its price easily justified. Toyota’s outstanding performance offers all the buyers to have perfect control for safe & smooth drive across all terrains. It gives confidence and trustworthy drives all over the long routes. It has dual SRS bags for safety of front seated passengers. All this ensures less damage and injuries in case of accidents. It also has proficient disc brakes and outclass anti-lock breaking system. It fulfills all the needs of buyers as compared to other existing vehicles in the market. 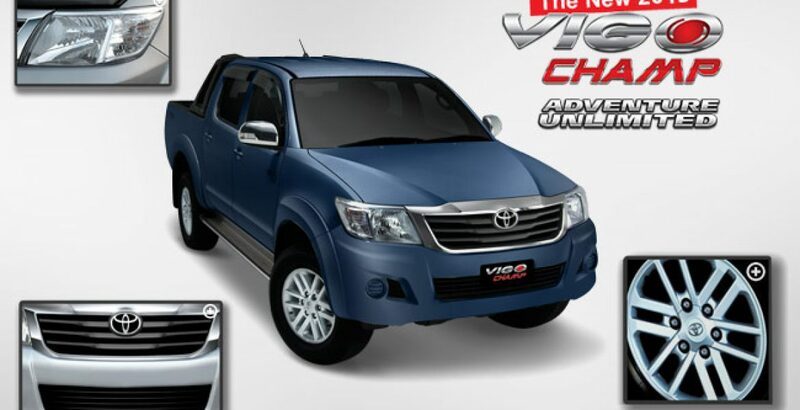 Toyota Vigo Champ is available in different colors, including graceful black, white, metallic grey, gun metallic, and bluish silver, bronze mica strong blue metallic and wine red metallic. 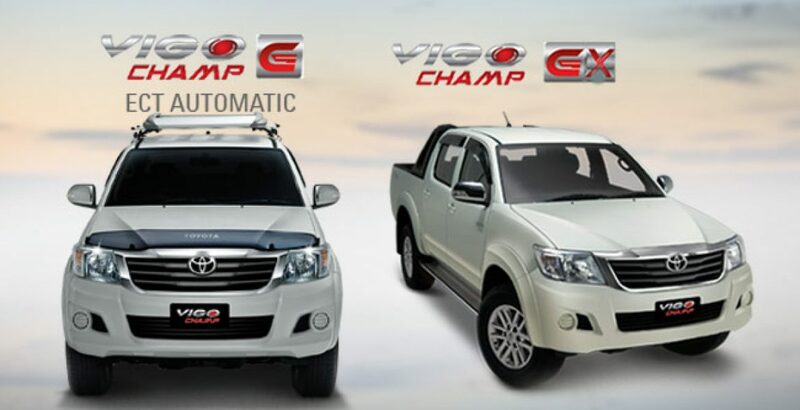 It is available in VIGO Champ V manual, Vigo Champ ECT automatic, Vigo champ GX and HILUX. Vigo Champ is a complete automobile package for fun lovers and drivers to enjoy drive from the start to the end of the journey with luxury, pleasure and pride. People love to have it in their automobile a collection of features to fulfil their needs while going on official visits or personal tours. Most of the existing vehicles in the market are limited in their usage. On the other hand, Vigo is ideal for picnics and longer journeys. It is an easily affordable car. At Toyota center, they are committed to provide the best-in-town after-sales services to their valuable customers all over the world. The relationship between the customers and Toyota Company extends beyond the sale of vehicle to make them customers for generations. 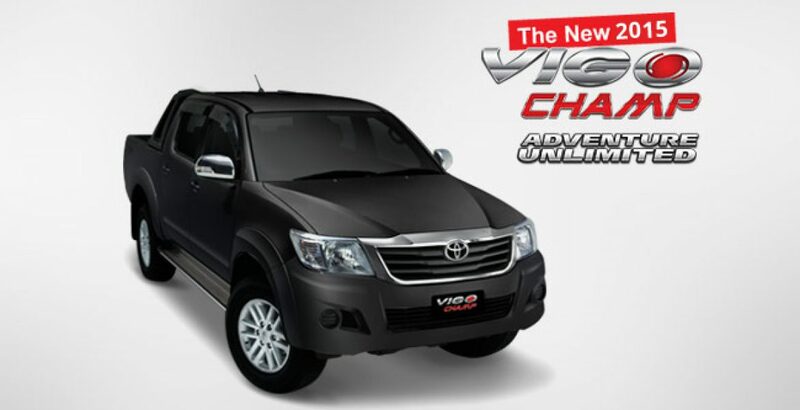 Toyota Vigo Champ price in Pakistan is also feasible and you can get it without any inconvenience from Toyota outlets.